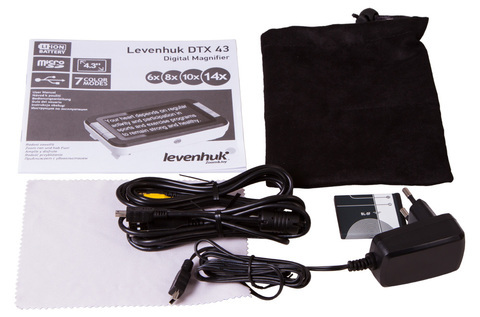 Levenhuk DTX 43 Digital Magnifier is an excellent choice for reading and working with small illustrations. 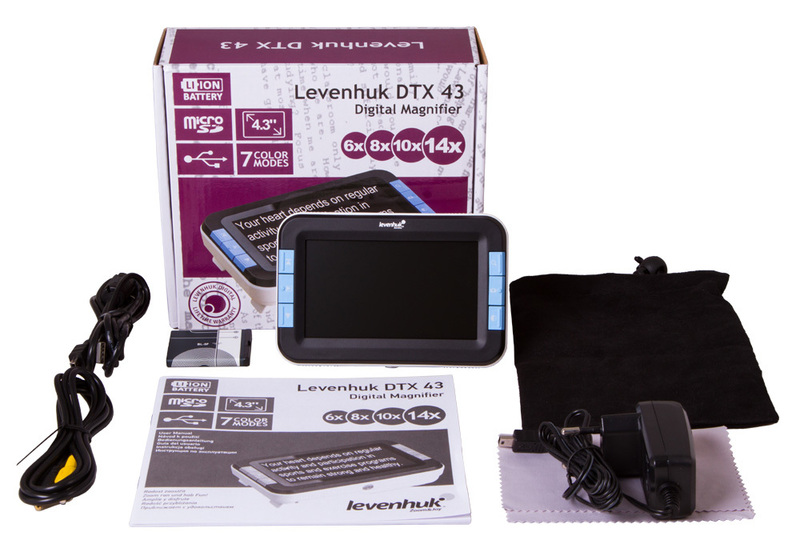 This optical tool has four fixed magnifications and seven color modes for displaying text. 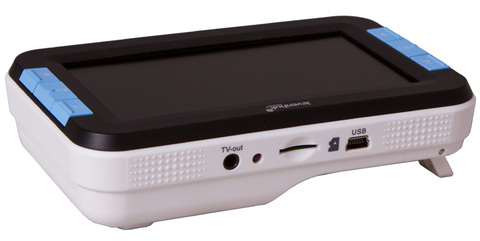 Connect a magnifying glass to a computer or TV and take screenshots while working and save them to a memory card. The magnifier can work from an electrical receptacle or from the battery. The battery life is 120 minutes. 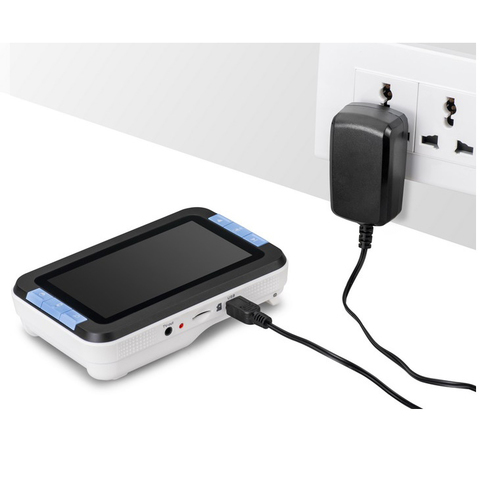 This magnifying tool is very easy to use. Simply hold the Levenhuk DTX 43 over the text and move it around as you read. An enlarged image is instantly displayed on the built-in LCD screen. 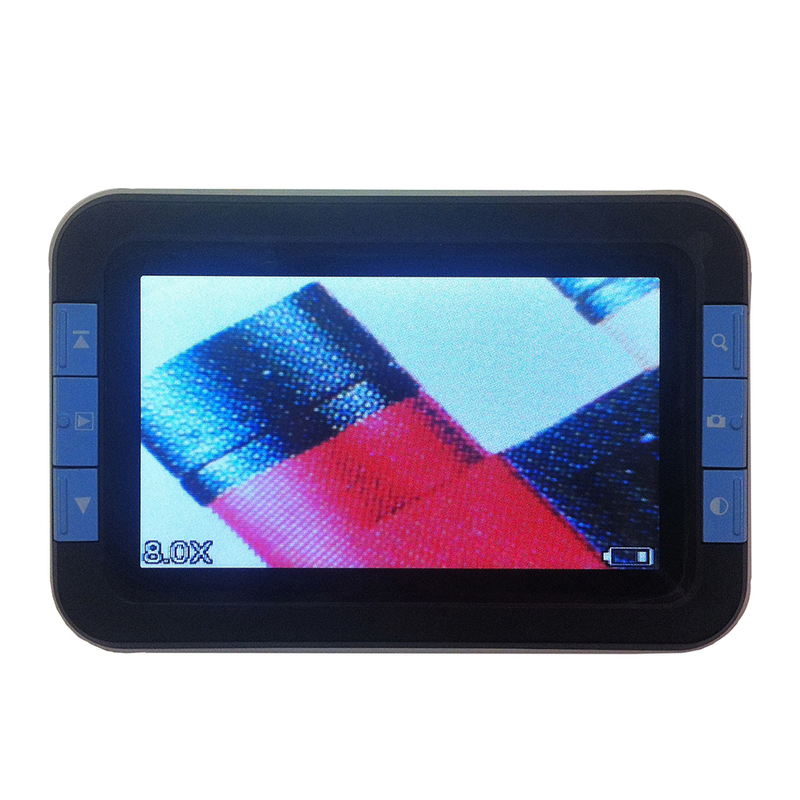 During operation, you can change the magnification or color modes. Click on a button at any time and take a screenshot: The picture is immediately recorded to the memory of the magnifier, and you can copy it to a computer for future study in detail. 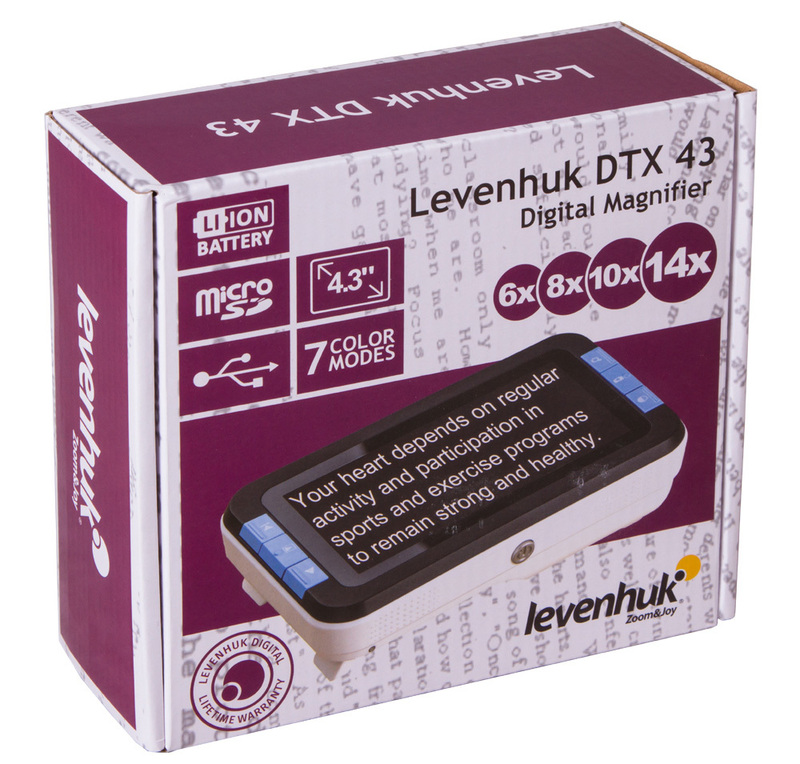 You can save photos to your hard drive by connecting the magnifier to your computer. 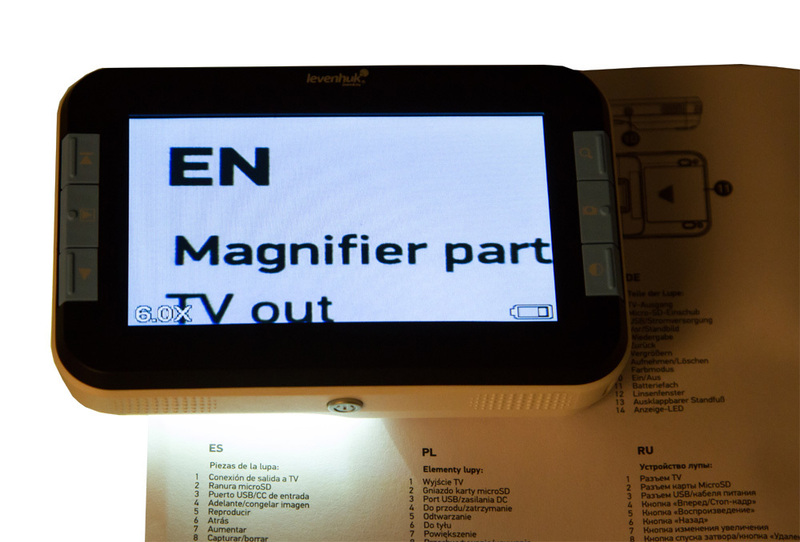 The magnifier can be used for lectures and presentations, displaying images on an external screen in real time. 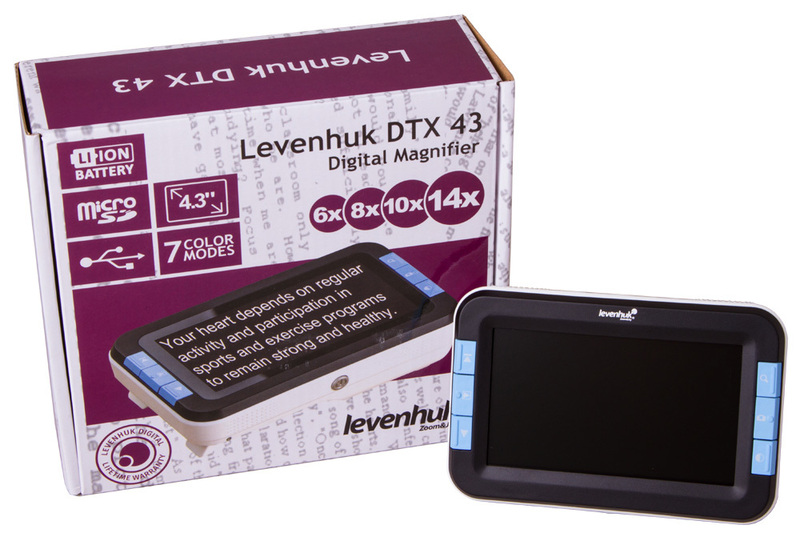 Levenhuk DTX 43 magnifier is perfect for reading in low light conditions – the magnifier has built-in LED lighting. The magnifier is equipped with a folding stand, so the magnifier can be raised above the table. 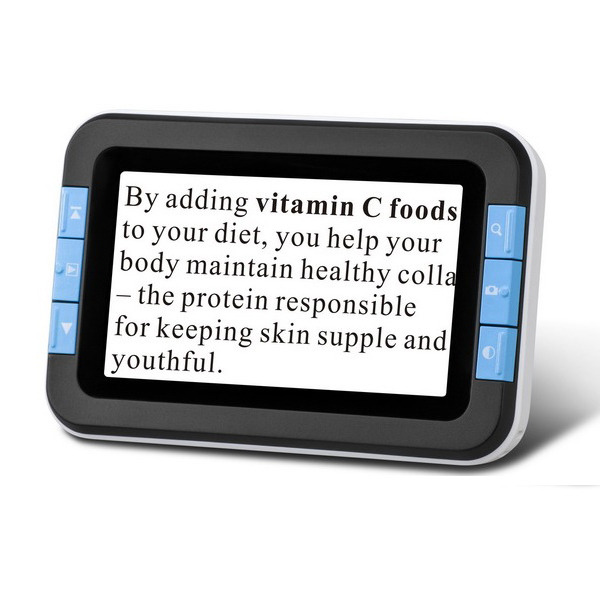 This makes it more convenient for you to write texts or solve crossword puzzles.